It's so easy to be a "hater" and to hate on things you don't like or don't agree with -- but to really promote what you love, what moves you, and what's inspiring and good, that takes courage and passion. 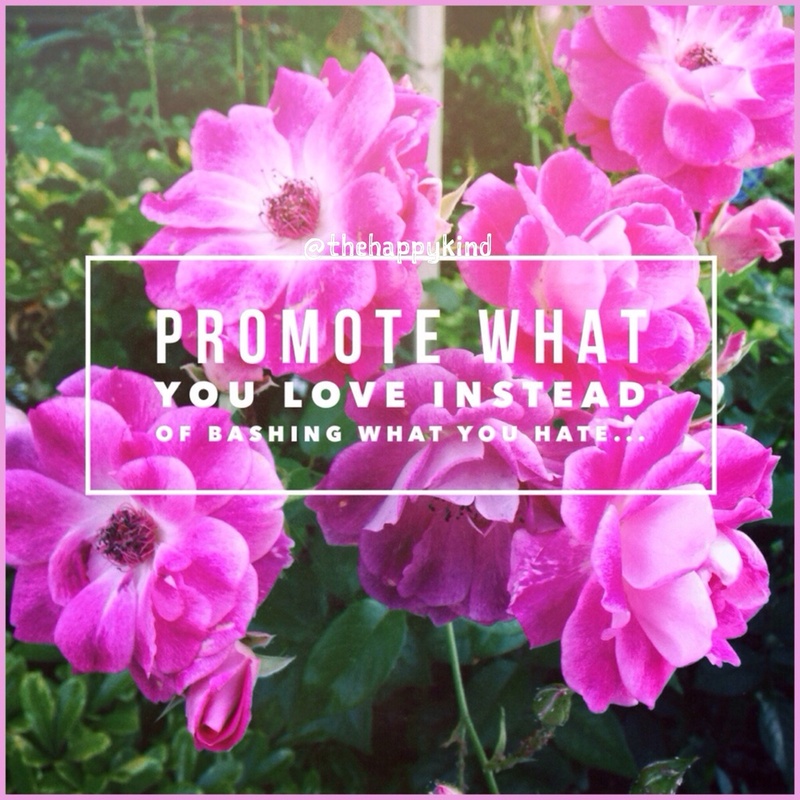 Be that person who spreads more light and positivity through promoting what you love. Today, try to speak with a loving tongue. Laugh more. Be more kind, and please, choose love over hate. Today is the day.